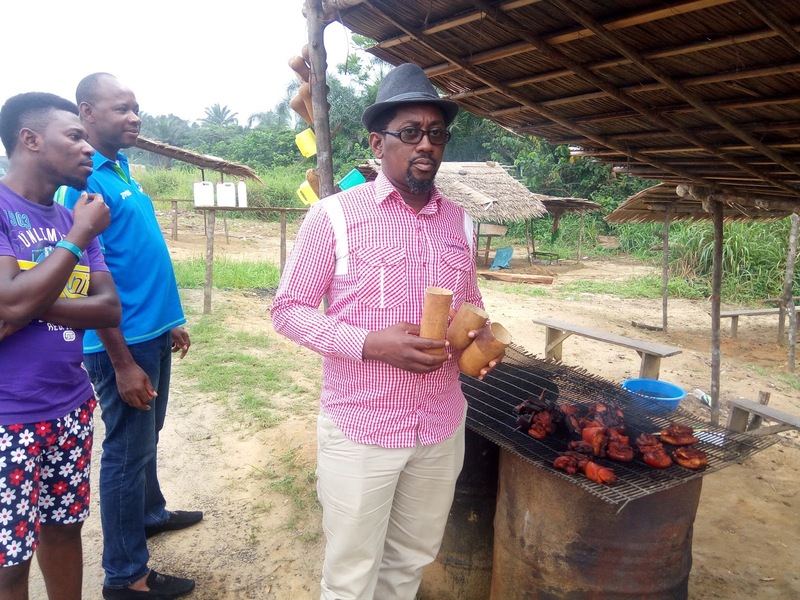 Home / Men / SuperEagles / Super Eagles Uyo Diary Day 1: How do you get lost in Uyo? 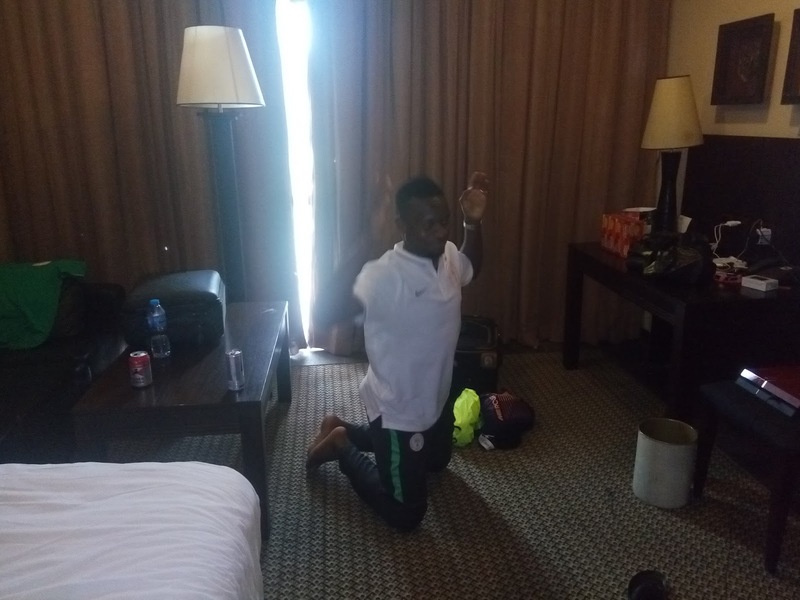 Super Eagles Uyo Diary Day 1: How do you get lost in Uyo? It was that time of the FIFA window again when we had to hit the road for a Super Eagles game. This time the Eagles will be playing against Algeria in a crucial World Cup Qualifying match. I departed with Chuma Nnoli (Nigeria Info FM), Emeka Dennar (Today FM), and Benson Clement (Radio Nigeria Treasure FM). We had the Supersport truck in front of us as we hit Oruk Anam LGA just after Ogoni Bridge and I suddenly remembered it was Calvin Onwuka’s birthday and we needed to celebrate. Lo and behold we saw a chap selling palm wine and I asked Chuma to stop. We sampled it and got some barbecued meat that the seller described as bush pig. When we asked Chuma if he wanted some, he said he only buys pork from Spar. Lol! Ajebutter pikin. We got to Uyo just about 11am and tried to settle in at the hotel before leaving for the press conference at 11:25 am. From our location we should get to Le Meridien Hotel by noon or a little earlier. Now we didn’t get to the hotel until 12:30 pm, how? Everyone who knows me knows I am not good with roads. As we got into Uyo I was asked directions to the hotel and I had no idea. I have stayed in this hotel almost ten times this year but yet I could not give directions. I quickly turned on my google maps app and we got to the hotel with little troubles. As we departed for the Press Conference Hotel, Benson Clement said he had a directions app and we set off on the journey to the Meridien Hotel. Expected time of arrival was supposed to be 12:16 but at 12:10 we were not anywhere close. When Benson was quiet for I asked him if the app was still working and he said it was. I joked that it won’t be funny if we are lost and suddenly see ourselves in Enugu and we all laughed. We didn’t know we were indeed off track. By the time we realized what had happened to us, we were so far away from our initial destination that no one around knew Le Meridien Hotel. We were in another Local Government Area completely. 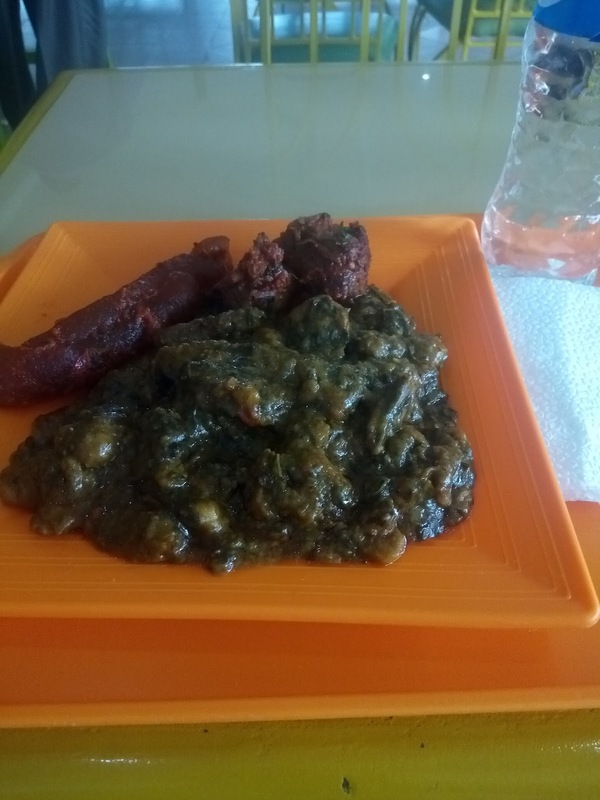 Chei! The eggs on our faces was clear for all to see, and legendary too. Somehow we were able to navigate our way back to the Press Conference venue and caught the last responses from Victor Moses, Etebo Oghenekaro, Daniel Akpeyi and Gernot Rohr. But I was in the Eagles hotel and whether I missed most of the press conference or not, I would still get my share of exclusive interviews. 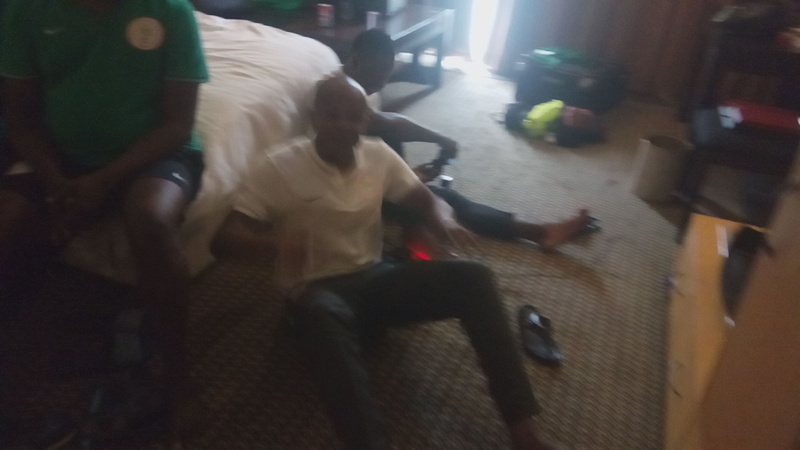 But aside from the chat with Brown Ideye, Ikechukwu Ezenwa, Ogenyi Onazi and John Ogu, the PlayStation challenge still continued. Last time that we were here Ikechukwu Ezenwa was the whipping boy losing to everyone in the room but today, he surprisingly thrashed Onazi 3-1 and did a victory dance like it was a real football match. But that’s how these players catch their fun when they are relaxing in their rooms. Onazi insisted on a rematch and won 3-0. At least he had exacted his revenge. On our way out, back to our hotel we met Colin “not Collins” Udoh who needed a ride out. Then as usual he wanted to show off and he bought lunch for all four us. He took us to a place called Oliver Twist and it was a very sumptuous meal.